The women's basketball team huddles at center court during a game earlier this season. The women’s basketball team continued their winning ways on Friday night, as they took on Selma University at the FCA & Zaxby’s Tip-Off Classic in Clinton, Mississippi, winning the matchup in a blowout, 83-40. Up by 16 at the half, leading 38-22, the Lions came into the second half looking to build on that lead, as they put 45 more points on the board. Selma only managed to muster 18 points after the break. 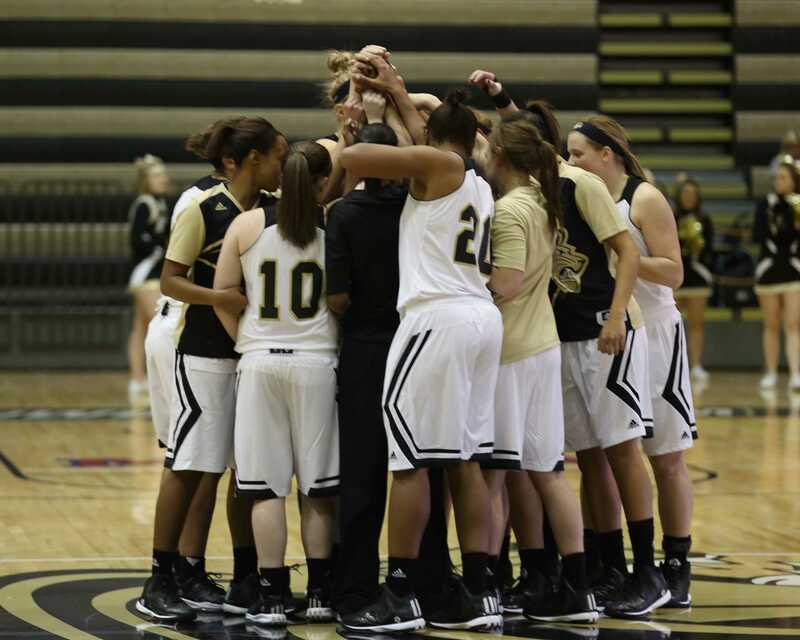 The women’s basketball team huddles at center court during a game earlier this season. Before the season,head coach Tony Francis explained that if seven or eight players were to score a few points that would be enough to secure some victories. Francis’ words couldn’t have been truer on Friday evening, as eight different players scored for LU in the first half, while nine scored in the second half. 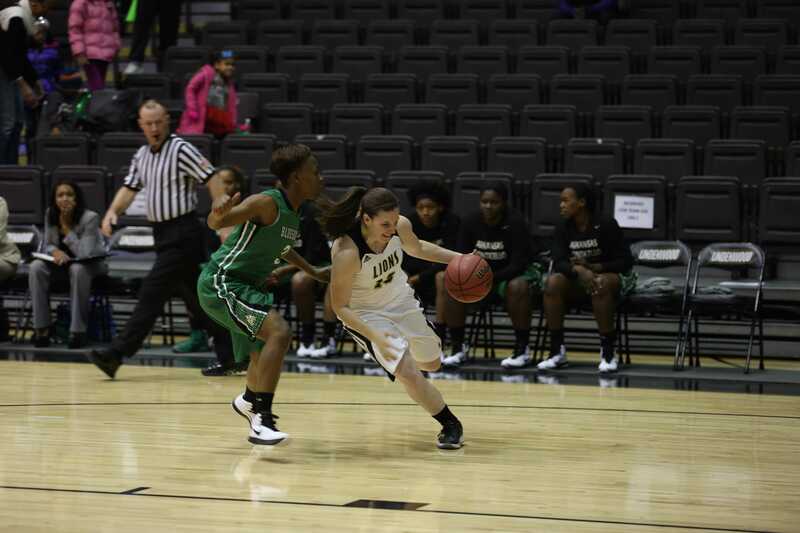 The Lions shot 56 percent on the day, while shooting 73 percent from the free throw line. LU showed how good it can be down low, as they scored 56 points in the paint, while 17 points came off of turnovers. Leading the way for the Lions was sophomore forward, Bre Zanders as she had a career high 17 points along with 18 rebounds. Last season’s leading scorer, Kassidy Gengenbacher, was held to just four points on the day, including shooting 2-8 from the field for the game. The Lions will face Lane College on Saturday at 2 p.m. as they finish the games in Mississippi.